The Open Championship is always one of the highlights of the summer sporting calendar and that will certainly be the case once again this week with the best golfers in the world set to do battle for the legendary Claret Jug. It is the third Major championship of the season and the tournament this year returns to the Royal Liverpool Golf Club for the first time since 2006 with a field jam-packed full of superstars. The betting for the British Open tends to be unpredictable and once again this year it is looking wide open with any number of players being backed to have a good tournament at Hoylake. 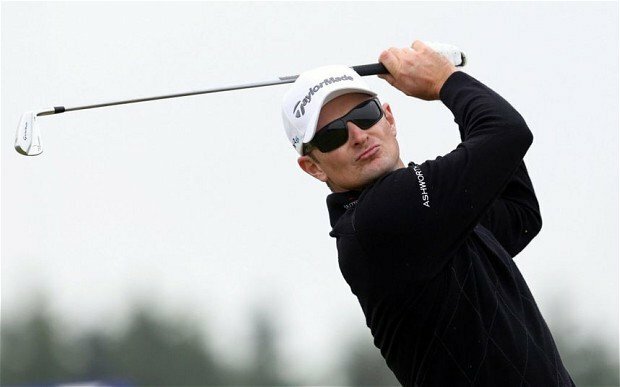 The man in form is unquestionably Justin Rose who will be aiming for his second Major Championship this week to add to his US Open success from last year. Rose has won his last two events in America and then last week at the Scottish Open which should stand him in good stead ahead of his home Major. The man from Hampshire made his name at the British Open as an amateur back in 1998 at Royal Birkdale when he went close as a teenager and this is a tournament he would dearly love to add to his already impressive CV. Rose is up to No.3 in the world rankings and he will be bidding to emulate Phil Mickelson who won the Scottish Open and the Open Championship in consecutive weeks last year. Rose is available at a best price of 14/1 with most online firms to lift the Claret Jug which will appeal to some although he has missed the cut for the last two years at the Open which would be a worry for his fans. The aforementioned Phil Mickelson is the defending champion heading into Hoylake and the American left-hander can never be ruled out when it comes to the Majors. He produced a master class on the links last year at Muirfield to win his first British Open and although his form this season has been average at best, it would be no surprise to see Mickelson have another good week when it matters. The last time the Open was played at Hoylake it was Tiger Woods who claimed the glory in 2006 and he will be hoping he can repeat that success this week. The 14-time Major winner only recently returned from a long-term back injury but is reported to be in decent form and as usual, Woods will attract plenty of attention. His last Major success came back in 2008 though and with just two competitive rounds in the bank since his return from injury, there is sure to be plenty rust in the Tiger game this week which might make him one to watch from a betting point of view. Other Major winners looking for their first Claret Jug this week include world No.1 Adam Scott (18/1) and Rory McIlroy (16/1) who has been in decent form this season and is more than capable of winning. Scott famously threw away a four shot lead with just four holes to play at the 2012 Open and he will be desperate to put that right with his first Claret Jug this week. As for Rory Mcilroy, he won the BMW PGA Championship in May which is encouraging although he has struggled for consistency in recent weeks which may hinder his chances of lifting the trophy on Sunday. Other players towards the head of the market for the British Open include Martin Kaymer (22/1) who is looking for back-to-back Major Championship after he won the US Open last month and young Jordan Speith (40/1), who finished 2nd at the Masters in April and is being tipped as a superstar to watch. Angel Cabrera (75/1) is a dual Major winner as well as a recent winner on the PGA Tour and has good memories of Hoylake having finished 7th in the 2006 Open which ensures that he too makes some appeal to shrewd golf punters at an each-way price. Graeme McDowell is another recent winner who will be going into the first round at Hoylake full of confidence and his game could well be suited to Royal Liverpool. McDowell won the France Open for the second year in-a-row recently and looks like a nice price at around 28/1 to win the Claret Jug for the first time. Justin Rose is the man in form but asking anyone to win three tournaments on the bounce is a big ask, while Tiger Woods is best watched as he continues his comeback to full fitness. The aforementioned Jordan Speith is expected to have a good week as he continues his meteoric rise, while Angel Cabrera is another one to keep an eye on at a nice juicy price for those of you looking for a bigger priced punt this week.